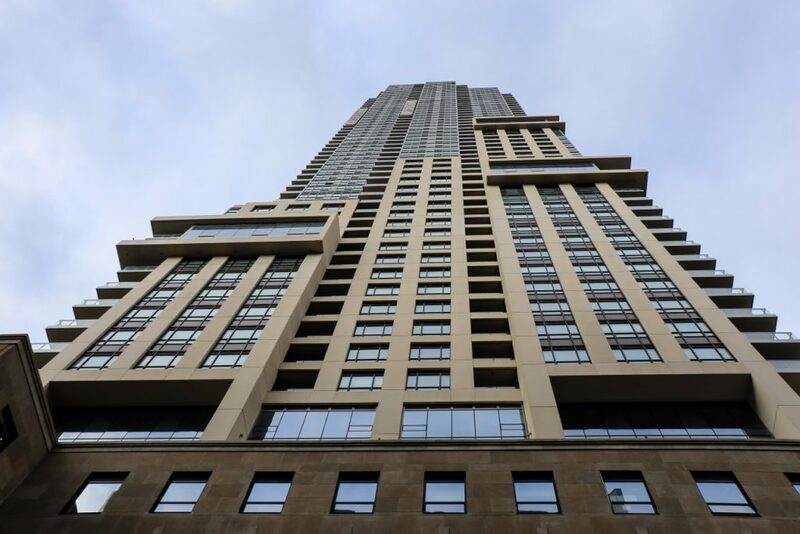 Now rising 58-storeys above the intersection of Scott Street and Wellington Street East, 88 Scott is the newest landmark in Toronto’s east downtown core. Construction on the 525-unit residence by Concert Properties is nearly complete and commercial tenants and residents have already started to move in. At the base of the tower, the five-storey podium incorporates the limestone and granite facade of the former Royal Sun Alliance Insurance Building which once stood on the site. 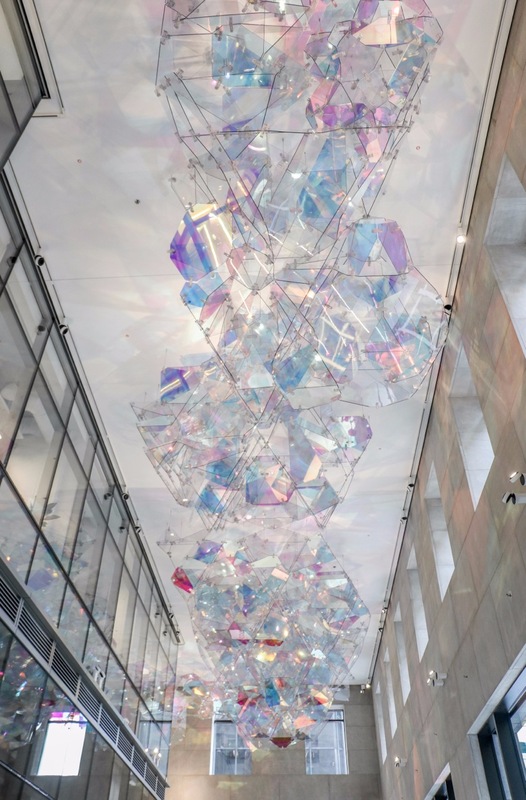 Behind the rebuilt facade is a light-filled public atrium with a stunning art piece suspended from the second storey ceiling. 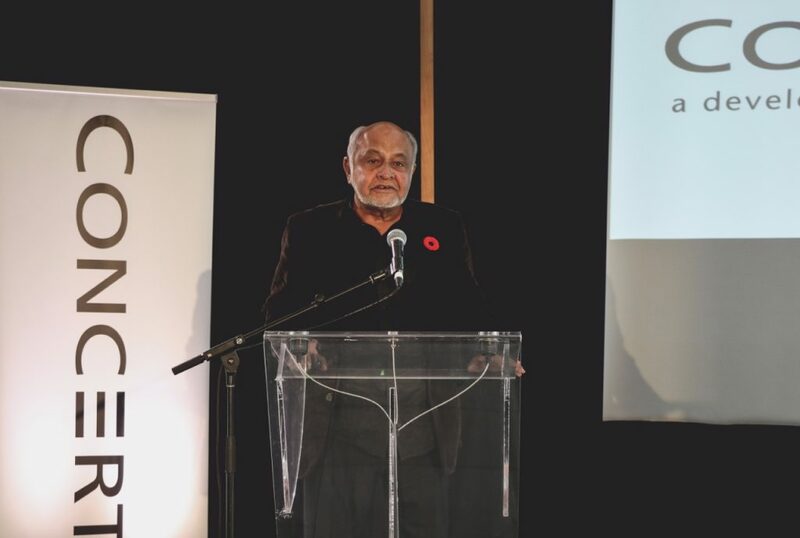 Spectrum, by internationally-acclaimed artist, designer and engineer, Cecil Balmond, was unveiled at a special ceremony yesterday, attended by David Podmore, Chairman and Co-Founder of Concert, Kelly Wilson, Vice President of Development at Concert Properties and Jane Perdue, Public Art Coordinator for the City of Toronto. 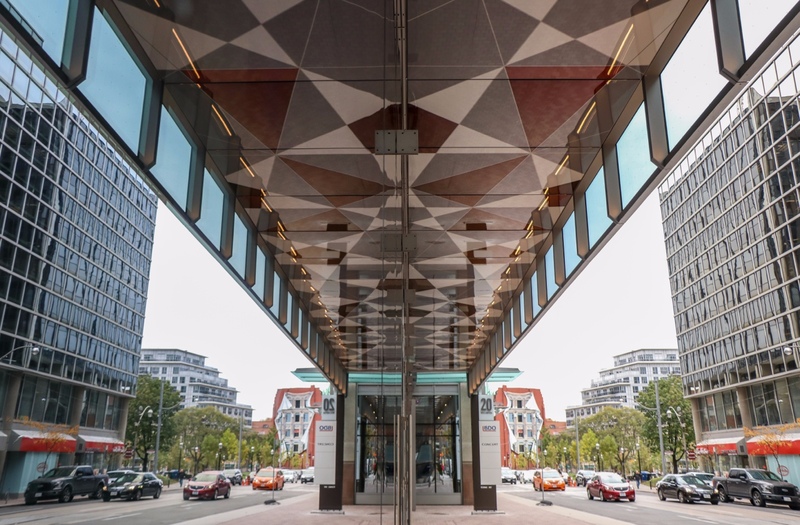 The three-dimensional ‘river’ of vibrant light and colour flows across the L-shaped atrium creating a geometry of jewel-like polygon shapes that light up the space by reflecting both artificial and natural light. Initial plans for the atrium included a large rectangular space, however in January 2012, Concert agreed to shift the residential tower six metres south to prevent shadows from being cast over the open space beside St. James Cathedral. Spectrum consists of polycarbonate sheets in varying shapes and sizes that have 3M film applied to them with high UV filters. 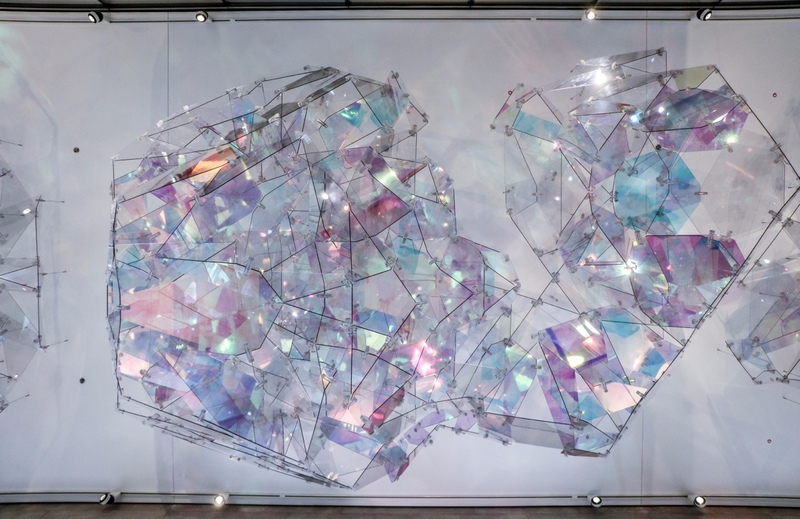 Two-thirds of the panels have coloured dichroic film which helps to create its vibrant and dynamic appearance which changes as the viewer moves through the space. The artwork continues outside with a secondary two-dimensional piece extending under the soffit of the retail podium. The external component consists of a series of crossing lines of LED light traces. Its zigzag pattern and geometric shapes echo the internal artwork as the network appears like a projection of the three dimensional piece. Priced from $1.3 million, the final collection of homes at 88 Scott range from 1,428 square feet to 2,920 square feet with occupancy scheduled for summer 2018. 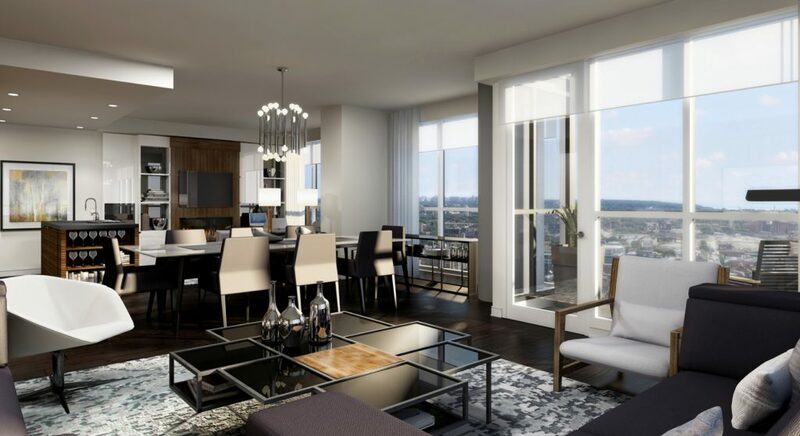 Interiors were designed by renowned interior design firm, U31 and boast open concept layouts with wide plank laminate floors, gourmet kitchens with corian countertops and custom roller shades on all exterior windows. Amenities include a 24-hour concierge, lounge with coffee bar, state-of-the-art fitness studio with a central juice bar and an infinity-edge indoor pool with an adjacent steam room and sauna. More amenities are found on the sixth floor Core Club where residents will have access to a Wi-Fi enabled lounge with a fireplace, billiards room and a private screening room. The two-storey Sky Lounge completes the onsite amenities with a 2,000 square foot lounge space complete with spectacular city views from the 46th and 47th floors. 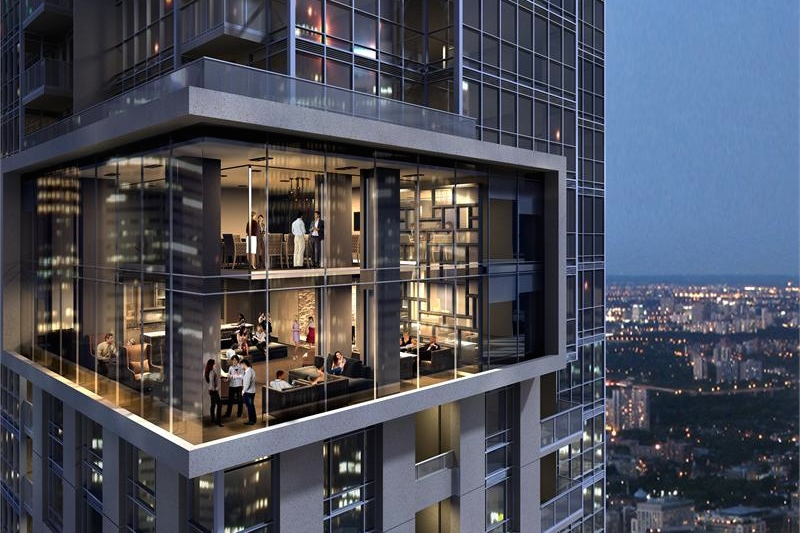 To learn more about 88 Scott, register online or call 416 216 8588 to schedule a private appointment. For more information visit 88scott.com.